Put some spring in your step with what’s sure to be the next big craze in something that’s just a little bit crazy. Anti-Gravity Boots are utterly daft and immensely good fun, and here at IWOOT we’ve been boinging around the office in an enthusiastic, if completely uncontrolled way. You just strap yourself into the boots, throw caution deep into the wind and bound off. 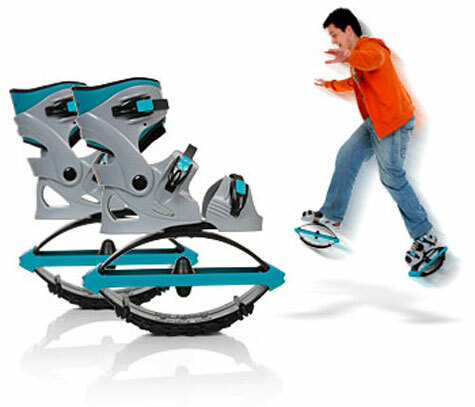 The sprung bases give you an extra and somewhat alarming lift with each bound, and they make Heelys look decidedly tame and dull.